Jessica Chisum’s contribution to the Morrissey Plays is a little unusual in that we broke her piece into three installments to give a narrative arc to the evening. In light of that, we thought we’d have her do a special, extended interview about the singer she loves and the theater company she’s returning to- all the way from Seattle! So, despite no longer being local, you’ve been involved with Theater Pub in the past, yes? Did having that insider knowledge help you create your piece for this show? Jessica: My first foray into the land of SF Theater Pub was as an actor. I was cast in Pint-Sized Plays IV after auditioning for another play directed by Jonathan Carpenter. 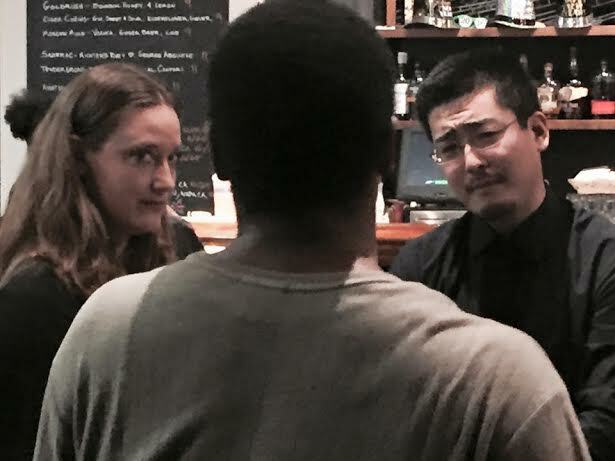 It’s always nice to get a call from a director: “We can’t use you in the play you auditioned for, but there’s this other play IN A BAR!” I was in “Multitasking” by Christian Simonsen with Andrew Chung and Lara Gold, which was tons of fun. When I was writing “There Is A Light…” I was definitely channeling the mischief of Pint-Sized Plays, imagining myself back in that atmosphere- the sensation of eavesdropping on fellow bar patrons, and doing the things you always wanted to do in a bar but were afraid to do because you didn’t want to get kicked out. Speaking of inspiration and guides, you also had a baby relatively recently… correct? Anything you’re trying to tell us with this play? Jessica: Yes, I had a baby last summer and as an artist my refrain during pregnancy was “This IS my creative project!” After my daughter was born I was surprised by all the brain chemistry manipulations and honestly wondered if I could still write. (For those of you without tiny infants, your thought patterns completely change upon giving birth… so that you can be a good parent? I’m sure there is a technical term for it.) By writing this play while my three month-old napped I was trying to say “Hey guys! Moms can make art too!” Also Moms Love Morrissey. How did you first discover Morrissey? Jessica: I found Morrissey after hearing “There Is A Light That Never Goes Out” on the radio my senior year of high school. I was listening to Parker Thompson’s show on KSUA, the college radio station at the University of Alaska. The song sent shivers down my spine and I stared at my clock radio wishing I could play it again and again. I ran down to Hoitt’s Music, the only music store in Fairbanks, and implored the staff to help me find it. “It’s about a double-decker bus,” I blurted breathlessly, an image in my mind of the funny red rectangles on wheels I had glimpsed as a very young child living in the UK. The song was found on The Smiths album “Best…II,” only one cassette left in the shop. I felt weird about buying “Best…II” without “Best…I,” but unfortunately “Best…I” was sold out. Thus began the summer of “Best…II.” As luck would have it, I was already a big Johnny Marr fan, having memorized his jangly guitar riffs from The The’s album “Mindbomb,” so the transition to Smiths’ Superfan was a smooth one. Jessica: The man is ridiculously attractive, even now, in his fifties. But to be fair I never knew what Morrissey looked like until I saw him on the “120 Minutes” show on MTV. The man on the cover of The Smiths “Best…II” album was an actor from East of Eden, also ridiculously attractive, and I’m sure I knew then that this charming coverboy was not the singer I was getting blissed out on. Interesting that Morrissey would choose a gorgeous man for his cover with more than a passing resemblance to his own visage. As Narcissus gazes into the lake, and all that. But really I first fell in love with Morrissey’s lyrics, his poetry, and not his gorgeous eyebrows. Can we all agree that Morrissey is quite possibly Oscar Wilde reincarnate? Or at least has been given the power to summon the wit and humor of the floppy-haired Irishman? “If it’s not love, than it’s the bomb that will bring us together…” That’s up there with some of Wilde’s best aphorisms. Jessica: I can’t say I hate anything about Morrissey because even his smug pomposity is just an act put on by an insecure teenaged poet, about which I might know a few things. You’re so cute when you’re angry, Moz. Really I am just mad that he and Johnny Marr won’t kiss and make up and do one last reunion tour for like 50 billion dollars or however much producers have offered him. Seems so silly to hang on to a grudge for your whole life. Think of all the mediocre solo albums he could produce with that kind of cash! And maybe he would finally hire someone to come in and dust his grungy old mansion in the Hollywood Hills. At one point they will both be old enough and poor enough to let bygones be bygones and make an album together again. And it’s gonna be good! OK, OK, maybe not as good as The Smiths, but close. And the lyrics will be weird and brilliant and the guitar riffs will be crazy and sensual and transcendent and then I’ll be that weird mom at the concert embarrassing her kids by throwing her bra onstage. How is this play SO MORRISSEY? Jessica: The characters in my play have strong feelings about Morrissey as a man and an artist and their relationship to each other is shaped by their shared experience of Morrissey. Together they speak the language of Morrissey. That’s like, SO MORRISSEY. You didn’t envision the play as being split into three parts, and you’ve decided to wait and see where the divisions happen, when you’re watching the play. Any thoughts on this? Do you think it changes your script a lot? Some writers would definitely be worried about that. Why did you approve the idea? 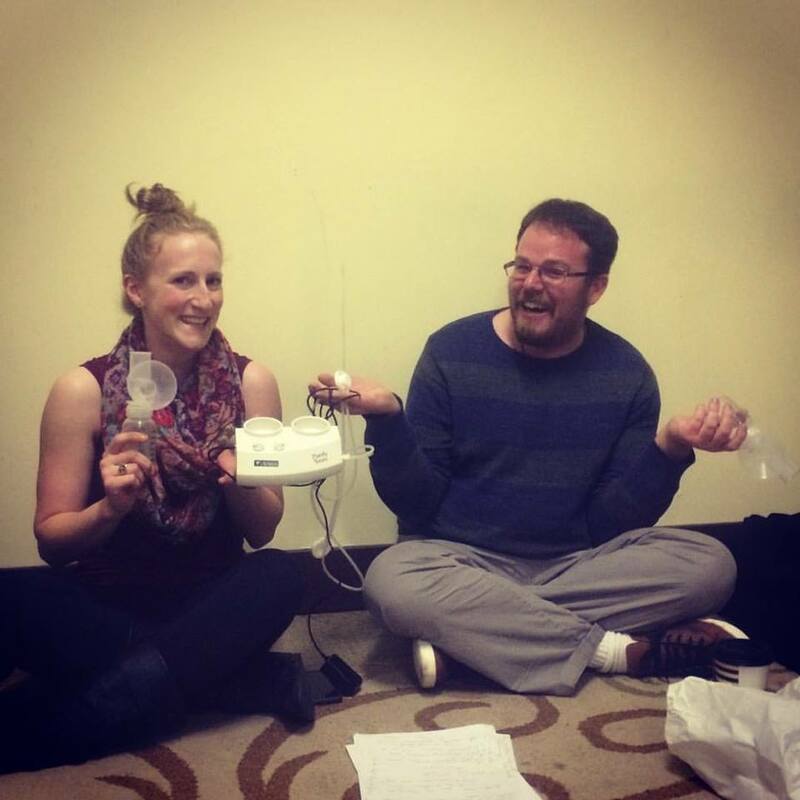 Jessica: Stuart Bousel split my play into three little playlets and I have no idea what that’s going to be like in performance! I’m honored, excited and scared, mostly excited. There are a lot of beat changes, so I am dying with curiosity to know how that dramatic tension is going to play out. Will we still care about the characters when we see them again? Will we remember what in tarnation they were talking about? It definitely makes those beats a lot longer, which does change the energy of the play. DAMMIT I CAN’T WAIT TO SEE IT. Mostly I’m just thrilled that Stuart Bousel wants to mess around and do things with my play. Total spoiler question here, but… what DID happen with Robert? Jessica: Ah yes, the elusive Robert, the unseen third character in my play (besides Morrissey)… To know more about him, I refer you to “There Is A Light That Never Goes Out,” the full-length play. Or webisode series! Only fitting that The Morrissey Plays would spawn a monster, yes? Final question: What is your ultimate Morrissey Mixtape? Jessica Chisum is an actor, playwright and the literary manager of Live Girls! Theater in Seattle. Live Girls has produced her plays DROWNED, SUPERGIRL, YELLOWED, INSERT QUARTER HERE, and MELEKELIKIMAKA COMRADE; SUPERGIRL was published by Rain City Projects. Jessica wrote HEAD FOR YOU TAIL FOR ME for Live Girls’ production of FEVER, plays inspired by the music of Peggy Lee. In San Francisco, she wrote PROMENADE produced by Three Wise Monkeys and PHOEBE PHOENIX SAVES THE WORLD, both of which were selected to be performed at the Last Frontier Theatre Festival in Valdez, Alaska. She was born and raised in Fairbanks, Alaska. You can see her play, and the rest of the Morrissey Plays, starting tonight at 8 PM, only at PianoFight! Megan Cohen, Sam Bertken, Andrew Chung, and Jeunee Simon, our Saturday Write Fever team, bring you a year-end article that lets you play along at home! Every month, SATURDAY WRITE FEVER takes over the EXIT Cafe for a pop-up theater festival of world premiere monologues written and performed that night. Anyone can sign up to write or to act at our free event which welcomes new faces alongside stalwart regulars, every 2nd Saturday. It’s a sandbox, a workout room, a way to show off to your date, cheaper than seeing “Star Wars,” and above all, it’s actively creative. People come to SWF to make real live homegrown performance, together, with and for each other. So, together, we’re gonna make this blog post! Fill out this list of words, then plug them into the spaces in the blog post below… just as you would when playing a game that rhymes with Mad Bibs, Bad Libs, or Sad Glibs!!! Print and play, or to play online instead, follow this link to a site that has some ads and stuff but automates the whole whammy. If you feel like giving us all a gift, post your favorite phrases in the comments below, and have a wonderful holiday. December 2015 was our THIRTIETH bout of “Fever.” That’s so many fevers, y’all. That’s so many monologues, at an event where up to 16 pieces are created per night. If I had to guesstimate, I’d say that’s a whole ______[NOUN #1]_____ of monologues. 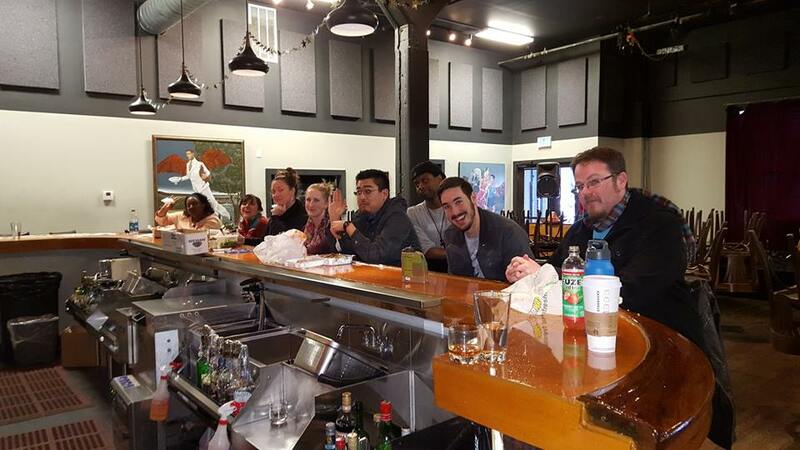 Our event has grown to have a hosting staff of five: Writer/director Stuart Bousel, actor/writer/mangenue Sam Bertken, actor/hero Andrew Chung, writer/villain Megan Cohen, and actress/goddess Jeunee Simon. To add to the mix of heroes, villains, performers, and artsy-types, the next co-host to join the team should be a ______[ADJECTIVE #1]______ kind of ______[NOUN #2]______. The EXIT Cafe at 156 Eddy St in San Francisco, CA is our home, a friendly spot with beer, snacks, and a cabaret stage about the size of a ______[NOUN #3]______. The cafe is part of the fabulous EXIT Theater complex, a longstanding SF arts hub which has several performance spaces hosting some of the best indie theater in the city, including the San Francisco Olympians Festival, the SF Fringe Festival, and performances ranging from ______[ADJECTIVE #2]______ burlesque to stand-up ______[PLURAL NOUN #1]______. Every month, we have a new theme for the writing prompts. Our 2015 themes included “Where Pies Go When They Die,” “Some Romantic S**t,” “Two Good Things,” and “Spies Have Feelings Too.” Maybe in 2016 we’ll do a night themed around ______[CELEBRITY]______, ______[PLURAL NOUN #2]______, or ______[FOOD]______. SWF is co-produced by the EXIT and SF Theater Pub. On January 9th, we’re doing our first ever official crossover with another branch of Theater Pub! To tie-in with Theater Pub’s moody-songster-inspired festival “The Morrisey Plays” (playing at Pianofight in January) our first 2016 Fever theme is “F**K MORRISEY!,” a night of monologues based on lyrics copped from the arch nemesis of Moz himself: the never-to-be-trifled with Violent Femmes! The Violent Femmes are the best because their music was used on the soundtrack of “My So-Called Life.” I love that show. Sometimes I think I’m an Angela, but really I’m more of a Rayanne, you can tell by the way I ______[VERB #1]______. Because SWF is free and monthly, there are plenty of chances to come catch the fever with us next year! It’s easier than learning to ______[VERB #2]______ and just as ______[ADJECTIVE #3]______ as a ______[NOUN #4]______. Come on by, let’s make some art, some memories, and some ______[PLURAL NOUN #2]______. The only reason to miss us in 2016 is if you’re dead or trapped in ______[PLACE]______.